I love breakfast. If I had to choose one meal category as my all time favorite, I would absolutely choose breakfast. Pancakes, waffles, crepes, even a big bowl of cereal, I love it ALL. However, there is one major rule about this love of breakfast; I don’t like it in the morning. I know, it’s super strange, but I just don’t like sweets in the morning. (Omelets, eggs, and oatmeal, however, are all safe at any time of day) Therefore, AT LEAST once a week, we have a sweet breakfast for dinner, and it is amazing. A few days ago I had these guys sitting on my kitchen counter, feeling a little sad and lonely. 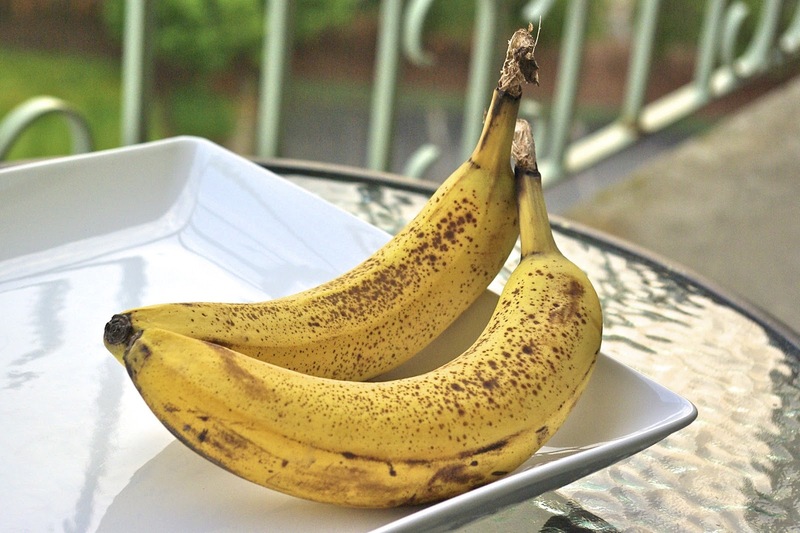 Upon seeing these beautifully brown and speckled bananas, I was inspired to make my ultimate banana pancakes. YES! Perfectly sweet from the ripened bananas and warm brown sugar, and infused with a subtle banana flavor, these pancakes are over the top; Ryan and I DEVOURED them. My favorite bite is a piece of pancake, drizzled with maple syrup and topped with a slice of banana. MMM, I might have to make more tonight. What is your favorite meal? Do you ever eat breakfast for dinner? Let me know below! In a separate bowl, mix together beaten egg, vanilla, melted butter, milk, and one mashed banana. Stir flour mixture into banana mixture. The batter will be slightly lumpy from the bananas. Heat a nonstick skillet over medium low heat. Spray skillet with cooking spray and drop, by 1/3 cup, the banana pancake batter onto your pan. Once the top of your pancakes get bubbly and bottom is golden brown, flip and continue cooking the other side. **Be patient with these, low heat is better and will yield a lighter pancake. If you cook it too quickly, your pancake may be mushy in the middle – blech. 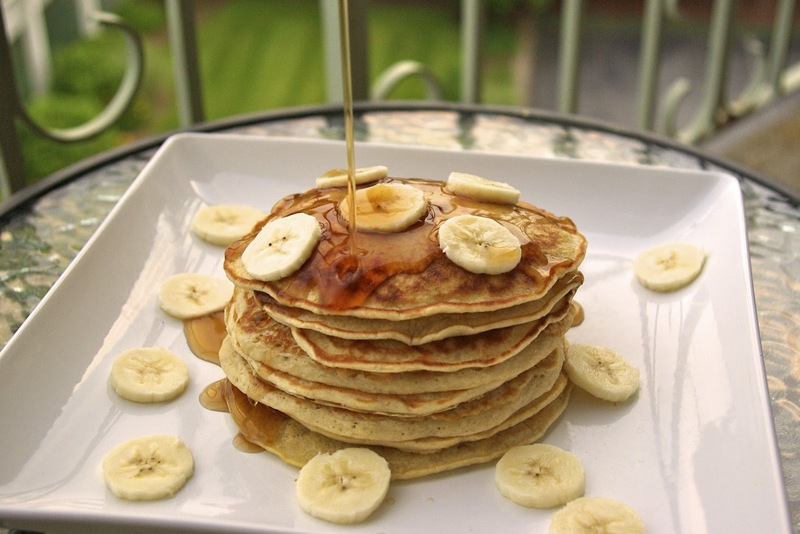 Serve pancakes topped with extra slices of banana and warm maple syrup. 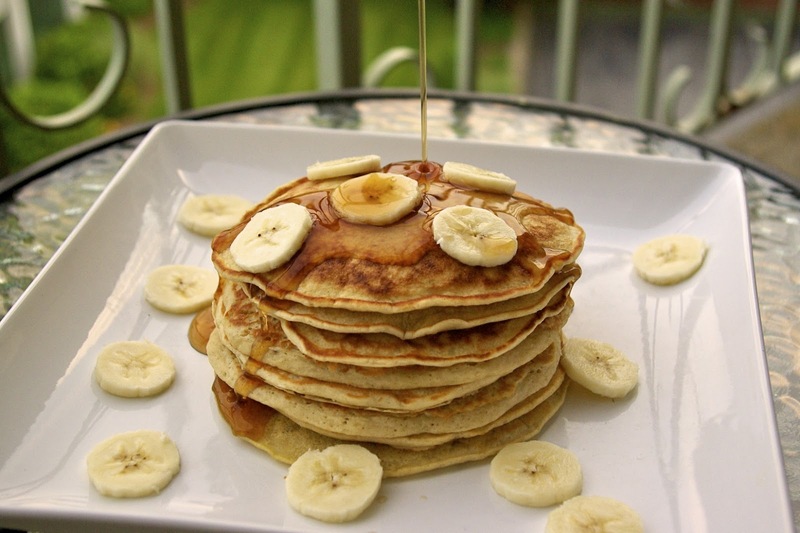 Your photo of the pancakes is perfection. I don't really like sweets in the morning either. If I eat something sweet at breakfast, I end up eating sweet for the rest of the day. Brunch however, is another matter altogether. I hear you Holly, though my cut off is around noon…then I can handle the sweet.